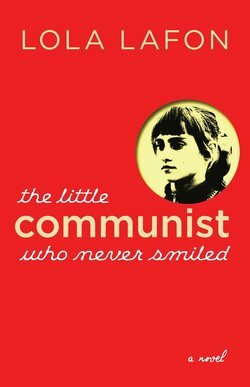 An evening with best-selling author Lola Lafon, here to discuss her prize-winning novel "The Little Communist Who Never Smiled," a fictionalized account of Olympic Gymnast Nadia Comaneci’s journey from rural Romania to Olympic stardom and eventual defection to the U.S. in 1989. Fiercely feminist in her narrative, Lafon powerfully re-imagines a childhood characterized by public scrutiny, adoration, and expectation. The 2016 Olympics marked the 40th anniversary of Comaneci’s infamous perfect “10” scores. She will be joined by Jessica Strand, the creator and host of NYPL’s Books at Noon, where she interviews authors about their most current work. Originally published in France in 2014, "The Little Communist Who Never Smiled" was an immediate sensation, swiftly garnering four major awards: the Prix de la Closerie des Lilas, Grand Prix de l’Heroine Madame Figaro, and the Prix Version Femina/FNAC (three of France’s most prestigious awards for women authors), as well as the Prix Ouest-France Ettonants Voyageur, awarded by a jury of French teens to the author whose book has spoken most eloquently to them. Lola Lafon is a bestselling novelist and musician, long associated with anarchist and feminist movements in France. Her previous books include "Une Fièvre impossible à négocier" and "De ça je me console," and her album releases include "...Grandir à l’envers de rien" and "Une Vie de Voleuse." Raised in France, Romania, and Bulgaria, Lafon currently resides in Paris. Jessica Strand is the creator and host of NYPL’s Books at Noon, where she interviews authors about their most current work. A native New Yorker, she lived for nearly two decades in Los Angeles, where she wrote 10 cookbooks as well as weekly columns on food for The Los Angeles Times. Upon returning to New York in 2009 she became a cultural programmer and reinvented the Strand Bookstore event series, anthologizing some of these discussions in her book Upstairs at the Strand (2016). She is currently working on an anthology of poems called Love Found, which will be published early 2017.